Wooden Coloured Blocks 14 Pieces is an inexpensive little starter set of simple shaped blocks. 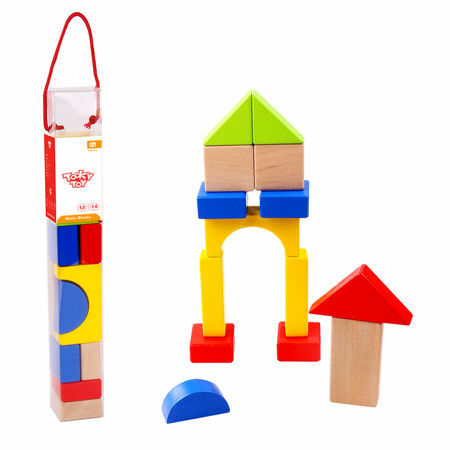 This set comes in a handy carry tube and contains 14 brightly coloured architectural blocks. This set is a great alternative to the massive block sets and will allow your little one to get the hang of stacking and sorting without being overwhelmed. We like this because: "Just enough blocks to get you started and understanding how the shapes work."